Mavericks will be able to cruise to classes when UTA’s Institute for Sustainability and Global Impact launches a new bike-sharing program Thursday, Sept. 7. 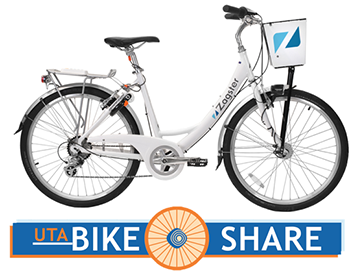 UTA students, faculty, and staff can join the bike-share program for a $25 annual fee. Bikes are then free for the first two hours of use and $1 for every additional hour. LEARN MORE. Apply to be a representative in UTA's student government by Thursday, Aug. 31, at uta.edu/sg. This is the first year for the new three-part governance system with executive, legislative, and judicial branches. The MavAlert test will coincide with the regular monthly test of the Outdoor Warning System at 12:30 p.m. on the first Wednesday of each month. The City of Arlington's monthly weather warning test will follow at 1 p.m. 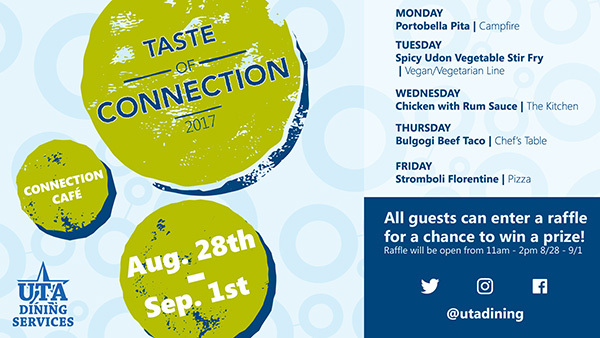 The next test is Wednesday, Sept. 6. 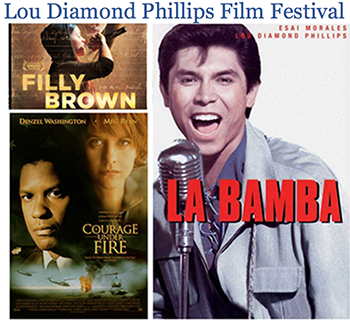 Aug. 31, Sept. 5-6—Lou Diamond Phillips Film Festival. In exclusive video commentary shot for the festival, Phillips introduces and discusses each film. Free popcorn will be available.